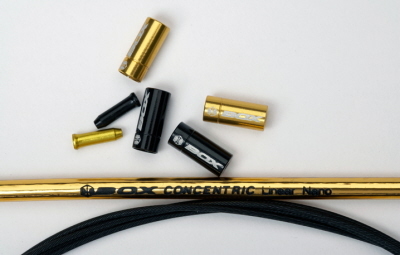 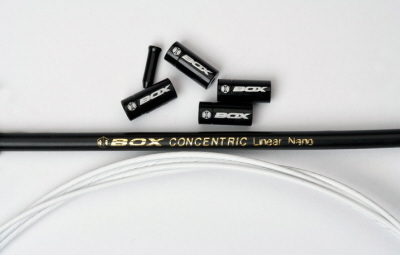 BOX Concentric cable kits are among the most advance BMX brake cables on the market, starting with the custom Concentric housing, which includes aramid fiber-wrapped aluminum/steel linear wires for the best combination of strength and low weight. 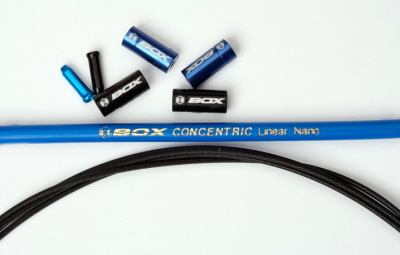 The inner Nano Cable wires are treated with a high-tech coating that reduces friction and boosts braking performance. 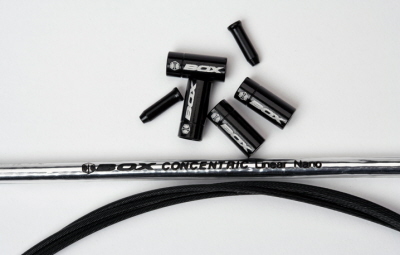 Our anodized aluminum Kollars™ ferrules further reduce cable drag. 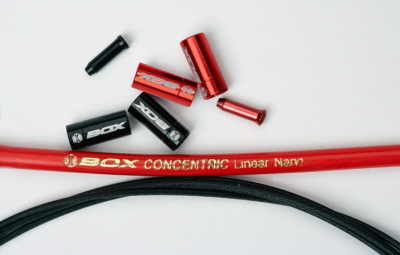 Each cable kit includes 79 inches of Concentric Linear housing, a black Nano Cable, two color-matched and two alloy Kollars™ ferrules and one color-matched and one black alloy cable end caps.